Forrest Green & Midnight Blue AfterShokz Are Coming! AfterShokz brings patented bone conduction technology, initially developed for military special operations and law enforcement by Voxtech in 2001, to sport, mobile and Bluetooth® headphones designed and priced for everyday use. In September 2015 an updated Bluez 2 begins shipping, equipped with PremiumPitch+(TM) technology and modified transducers, delivering the masses the most exceptional audio experience to date. 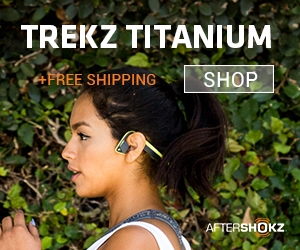 Found a coupon for AfterShokz?